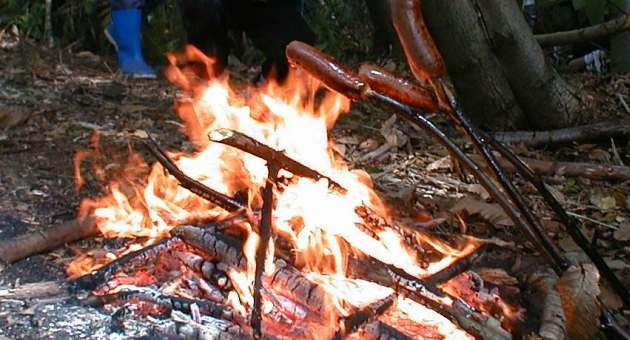 Build a shelter ready to survive the wind and rain, light a campfire and enjoy cooking a late lunch over the fire….Adult to accompany child or children and join the adventure! Lighting a communal fire and having a go at the 60 seconds fire challenge…. Lunch menu: Please can everyone bring chipolata sausages, bread roll, and a picnic lunch/bottle of water.